About posture habits and upper back stiffness. 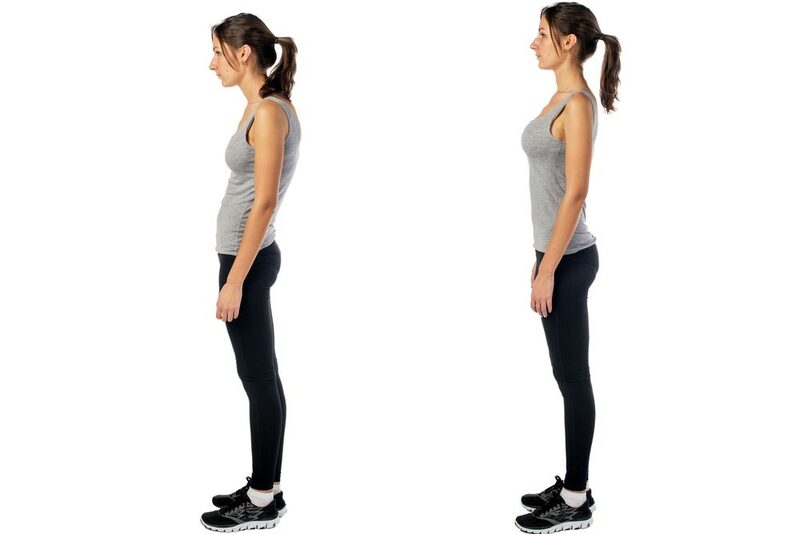 Posture problems can be a consequence of your lifestyle and habits: sitting behind a computer or behind the wheel are typical habit which may influence your overall posture and they can cause back problems. The consequence is a typical “rounded shoulder” posture, and with our smartphone habits this may even become a hunchback posture over time. 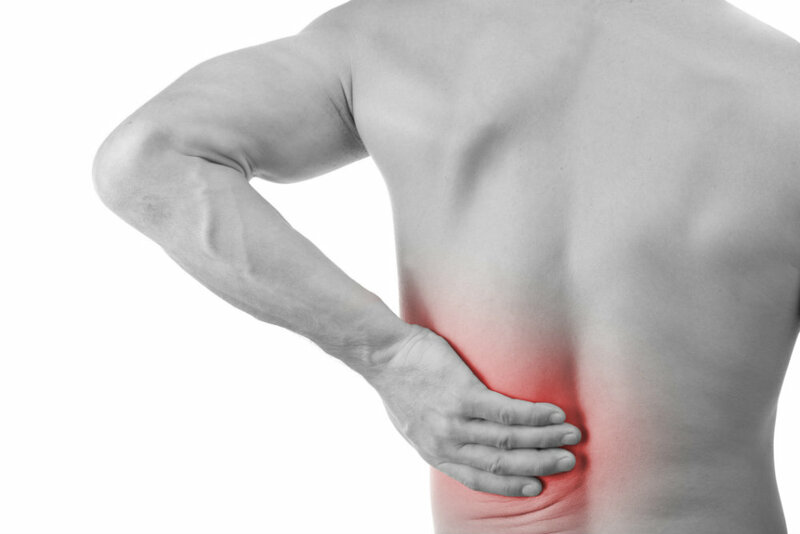 One of the first effects of posture problems and habits, is stiffness in the mid and upper back. The exercise we demonstrate in this short video is a simple one you can do in the comfort of your own home. All you need is a set of massage balls, and they will help you relieve some of the tension accumulated in your mid and upper back. 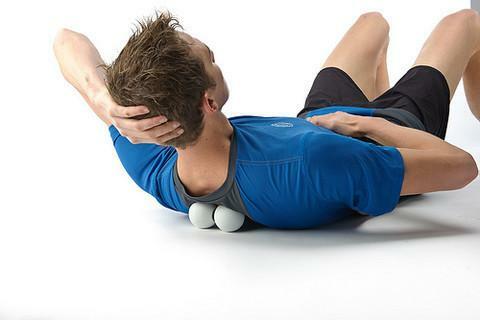 Using the balls, you can effectively perform a stretch and pressure massage to relax the painful tight muscles and trigger points that are associated with postural strain and upper back stiffness. In the video you can see how you will place the pair of massage balls on the tight spots on either side of your mid-back, and then “ease out” over the balls. If you suffer from serious back pain or osteoporosis it is important to talk to your health practitioner before starting this or any other exercise program. Imagine yourself getting taller and ‘longer’ as you lie back and place your body weight on the balls. Hold this position for about 5 to 10 seconds as you gently extend your back over the balls. Imagine the balls as a pair of thumbs pressing on your trigger points – and you control the pressure by how much you lie on the balls. The balls apply pressure to the tight spots, and by doing so they take away some of the tension you have built up in those areas of your back. This type of exercises can give you immediate relief as tight muscles and trigger points relax and let go. If done on a regular basis, this can help you build more spinal strength and thoracic mobility. Once you have done the first exercise, sit back up, and then continue working your way up, using the balls in different places and creating nice gentle stretches as you gently arch over the pair of massage balls. If while doing these exercises you feel an increase in pain or if pain persists, we recommend you come and see your chiropractor at Burswood Health. We are conveniently located next to South-Perth and East-Perth, across the Causeway in Burswood. As a multidisciplinary clinic, we help you with chiropractic, occupational therapy and podiatry services. If you – or your children – need assistance with posture problems or back pain, contact Burswood Health to book your appointment with our friendly reception staff.